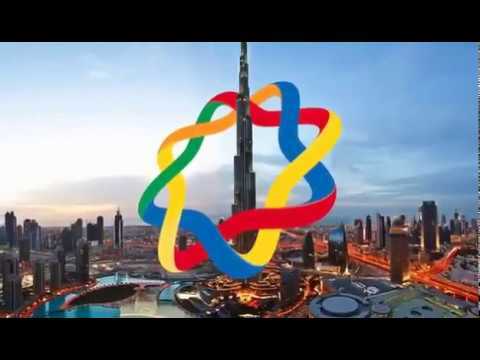 The 2019 APC General Assembly will take place in Dubai from 5-6 February 2019. The event was officially opened by the UAE Minister of Culture, Youth and Community Development, Sheikh Nahyan bin Mubarak Al Nahyan. Key presenters during this meeting were Mr. Xavier Gonzalez, IPC CEO , who delivered a presentation on “The Global Paralympic Movement: The Effect, Impact & Expectation on IPC Region” and Mr. Willie Lemke, Special Advisor at the United Nations Office on Sport for Development and Peace , who presented a paper on the UN’s role in promoting sports for people with an impairment. Other important topics covered during this meeting included: successes and issues related to sports and athletes, classification and doping-control, APC sports forums held during the Incheon 2014 Para Games and the viability of the HRD Specialist Programme. In parallel to the GA, the APC hosted a gala dinner where athletes and prominent figures in the Asian Paralympic movement were rewarded for their achievements since the past GA.
Best Female Youth Athlete award was presented to Miki Kamada of Japan, a 17-year-old who made waves at the Asian Youth Para Games 2013 with one silver and three gold. She then won two bronze medals at the Incheon 2014 Asian Para Games. Best Male Youth Athlete trophy was awarded to China’s Wang Hao. Wang Hao who started athletics training at the age of 14, blew away the competition to take three gold medals at the Asian Youth Para Games in 2013. A repeat performance won him another three top-of-the-podium finishes at the Incheon 2014 Asian Para Games. Best Team Sports Performance Female was awarded to China. Best Team Sports Performance Male was won by the Islamic Republic of Iran. Best Male Athlete award was presented to Lin Furong of China. At the Incheon 2014 Asian Para Games, Lin became the most decorated athlete by winning six gold medals, breaking three Asian and three Games records. 22-year-old Lin hails from Foshan China and took up the sport of swimming in 2005. He created waves at the Guangzhou 2010 Asian Para Games with four gold, then went on to win a gold, silver and bronze at the London 2012 Paralympic Games. Best Female Athlete prize was awarded to Incheon 2014 Asian Para Games double gold medallist Sareh Javanmardidodmani of Iran. She won the women’s 10m and mixed 50m air pistol SH1 events in Incheon breaking two world records on her way to victory. She made history by becoming the only Iranian woman to claim a world championship gold medal. APC Special Recognition Award was presented to Uzbekistan and Republic of Korea. This trophy was established to honour nations that have shown tremendous commitment in developing their athletes and great improvement in their performance, especially from the previous Games in Guangzhou to the most recent Incheon Asian Para Games. Please also check the press releases related to this event in the news section of our website.